​How do I find a proofreader, copyeditor or developmental editor? If you’re at the beginning stages of your writing career, you’ll still be navigating your way through the world of publishing. And you probably have a ton of questions. One of those will likely be: What kind of editor do I need to help me get my book ready? The natural follow-up to that is: How do I find that person? I offered guidance on what kind of editor to hire and when in ‘​The different levels of editing. Proofreading and beyond’. Today, I’m focusing on how you should source that person. ​So as not to muddy the waters, I’m assuming you’ve already decided what kind of help you want: developmental, copy/line editing or final prepublication proofreading. If you’re still not sure, I’ve included a PDF that summarizes the different levels of editing at the bottom of this article. Those membership directories are a great deal smaller and easier to navigate than the internet, which means you can concentrate your search. You can often search on key words. So if you’re a crime writer looking for a proofreader, you’ll be able to narrow your search to specialists with experience in both proofreading and crime fiction. Some professional associations require members to meet certain criteria in exchange for the right to be listed in their directories. This means you’re able to access editors and proofreaders who are fit for purpose. I don’t need to tell you why that’s good news for you! Being able to target your search means higher-quality results for less of your valuable time. Woo hoo! The UK’s professional editorial association is the Society for Editors and Proofreaders and there’s a global list here: Professional societies and associations. A limitation of national professional editorial societies is that they’re national. There’s absolutely no reason why you should source editorial help from someone in your own backyard. Many editorial pros work with clients from all over the world. The internet is the biggest and most amazing directory on the planet so it’s a brilliant place to search. Your perfect-fit editorial pro is out there, just waiting for you to touch base. There’s a problem, though: the internet is the biggest and most amazing directory on the planet so it’s a terrible place to search. Your perfect-fit editorial pro is buried, waiting for you to dig her out. Go too broad with your keywords and you might miss her. Go too narrow and … yep, you might miss her. Of course, you might find her, too. As Google sometimes prompts us: are you feeling lucky? And there’s something else to bear in mind – and I say this as someone with page-one Google rankings for the term ‘proofreader’, so it’s not a case of sour grapes – being high up in Google doesn’t mean the proofreader or editor is necessarily the best fit for you; it means they’re an effective marketer. And, conversely, just because someone’s website is ranked highly for niche long-tail keyword searches doesn’t mean that another person who didn’t pepper their website with those particular terms isn’t worth considering, too. That means you need to do a lot of Google legwork to find the best fit and to get a really good batch of potential people to work with. I’m not saying don’t use the internet. Its global nature is an appealing feature, one that the national editorial societies can’t compete with. I’m saying recognize its limitations. It’s amazing but it’s crowded, so you’ll need to invest some time to make it work for you. And that’s why I’ve given professional associations the number-one slot in this list of search options. 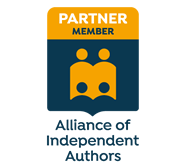 If you’ve developed a solid network of fellow writers, that could be a super resource from which to get recommendations. Bear in mind, however, that the best fit for your writer pal is not necessarily the best fit for you. It’s a small resource given the size of the decision. You might be writing in a different genre, or you might need help with a different level of editing. Some professional editors specialize in one or two levels (e.g. proofreading and copyediting; or developmental editing and manuscript evaluation). Others offer all of the levels but still feel most comfortable in one or two. So tap your network for advice, but back it up with other searches. Editors use social media platforms in different ways. For example, some are active primarily on Twitter, and have a LinkedIn profile but only use Facebook for personal use. Where you go will determine whom you find and whom you miss. Most social media profiles are restrictive in terms of what can be included, so you might not get the best sense of fit from the information provided. Some platforms are noisy, which makes effective targeted searching problematic. Again, back up with other searches. Now let’s take a look at how you might refine your initial searches. You’ve found 37 developmental editors or copyeditors or proofreaders … whatever you need. All of them look great – they all have experience; can spell properly; are well educated and professional; and have a keen eye for detail and the appropriate training and qualifications. How are you going to narrow that down to something manageable? One way is to look at their portfolios, which tell you whether they’re used to working with books in your genre. At the final prepublication proofreading stage (which takes place after all the previous rounds of self- and professional editing are complete), genre experience may not matter as much. At copyediting, line editing or developmental editing stages, though, specialist genre experience could be a relevant factor. For example, line/copyediting crime fiction requires a different touch to line/copyediting historical romance. The styles of writing, the characters’ language, the length of sentences, even the punctuation used, are often very different. At developmental editing stage, genre will affect how the likes of pace, plot and characterization are handled such that reader engagement is maximized. A portfolio does not an editor make, and it shouldn’t be the sole determiner of whom you choose by any means. It will, though, give you a feel for who’s used to working with writing like yours. Best versus best fit is worth considering when it comes to choosing third-party editorial help. At proofreading stage, you need precision; it’s all about quality control. At the earlier stages of editing (e.g. copy/line) emotional engagement will come into play. It’s therefore a good idea to ask for a sample (either free or paid for). A sample will allow you to see who ‘gets’ your writing. Sentence-level tweaking is subjective to a degree (when it comes to suggesting minor recasts, for example) and it may be that five editors all spot the same typos and grammar errors but handle the wordiness rather differently. It’s not about right or wrong, but rather about responsiveness. A third narrowing-down technique is to look at what other writers say about a proofreader or editor. Take a look at their testimonials. Have other writers been prepared to publicly endorse the editorial pro? Have mainstream publishers stuck their necks out and praised the work? Testimonials aren’t a foolproof way of determining excellence; like portfolios, they give you a glimpse of what the editors have done, whom they’ve worked with and the impressions they’ve made. They’re just one way of evaluating what’s on offer. So that’s it – a potted guide to finding a proofreader, copyeditor or developmental editor. I wish you luck with your search and with your writing journey! Here’s the information on the different levels of editing I promised. Just click on the image to download. Yep, I definitely want an editor who wears Doc Martens. And, you know, knows horror. That's important too I guess haha. Now just have to sort out that whole blasted MONEY bit. Love these posts, always get something out of them :D Thanks Louise. You're right! Dr Martens are de rigueur, especially for horror copyediting ;) I should have created an additional point in the Refinement section: ask to see a picture of your editor's footwear before hiring! Seriously, though, glad to see you're enjoying these posts. There's plenty more to come so keep on checking in. I arrived at the Proofreader's Parlour by accident. Like most who start to write I had little idea of the journey but, reasoning that it cost nothing but time, I wrote. There's a long discussion to be had about what's required to attempt even the poorest self-published manuscript - however not knowing the function of proofreaders, editors and the publishing process, this was a discussion I couldn't take part in. So, what's the appropriate level of resource to throw at a writing project? 1st draft (3½ months), get to grips with punctuation (1 month) 2nd draft (3 months)... self-edit, re-write, restructure, find willing readers and analyse feedback... decide what I was trying to say and then discard 50% of the narrative... re-write + restructure (I made copious notes of the journey). And finally rest the project until I had the funds to gamble on an edit - leading me here. The editing process gave me confidence in my style. My editor (Stephen Cashmore of SfEP) added value to both my works (A Guide to First Contact and the Tau Device) and I learned from both edits. Is editing or proofreading right for everyone? Personal circumstance dictates the answer to that. Speaking for myself, when I've the funds I'll use a trusted editor.